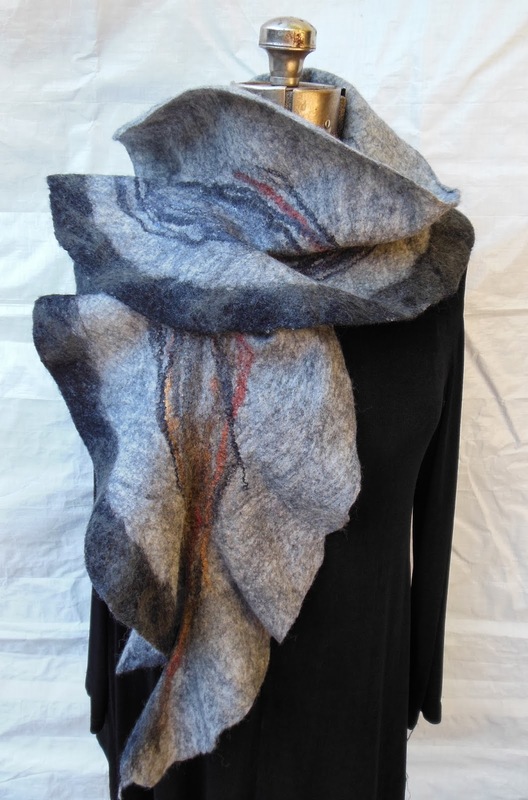 Carin Engen is an award-winning fiber artist and workshop instructor who has been using her experimental, playful nature to explore felting and color since 1992. She maintains a studio in Garberville, California, where she produces a line of hand-dyed wool fabric and fiber as well as her felt art. 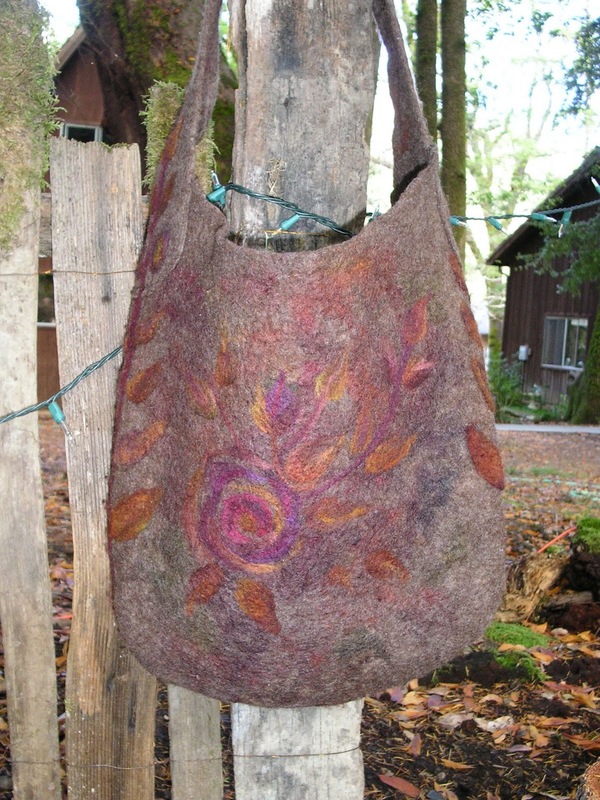 Prior felting experience is required for both Saturday and Sunday workshops, so sign up for Friday’s workshop if you need the experience. The workshops may be taken separately or in any combination. All costs are tentative and may be reduced depending upon participation. Reserve your spot with a 50% deposit paid to our Treasurer, Gloria Miller, 383 Green Ridge Drive, #3, Daly City, CA 94014. For more information click on each Workshop Title live link below. 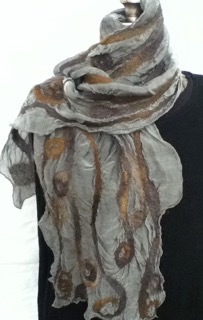 For more example pictures, see Carin’s blog at artfullyfelt.blogspot.com. 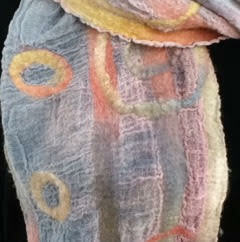 Friday, March 6, 5:30 – 9:30 pm: Introduction to Nuno Felting. Cost is $50 for each student, plus a materials fee to instructor, approximately $30. Maximum number of students 15. 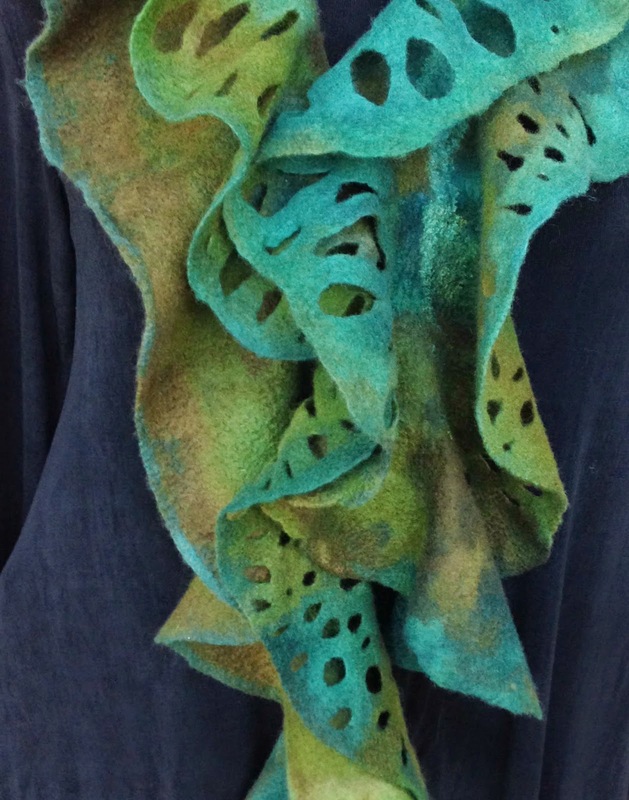 Saturday, March 7, 10:00 am – 4 pm: Felted Ruffles. Cost is $100 per student plus materials fee to instructor, approximately $25. Maximum number of students 12. 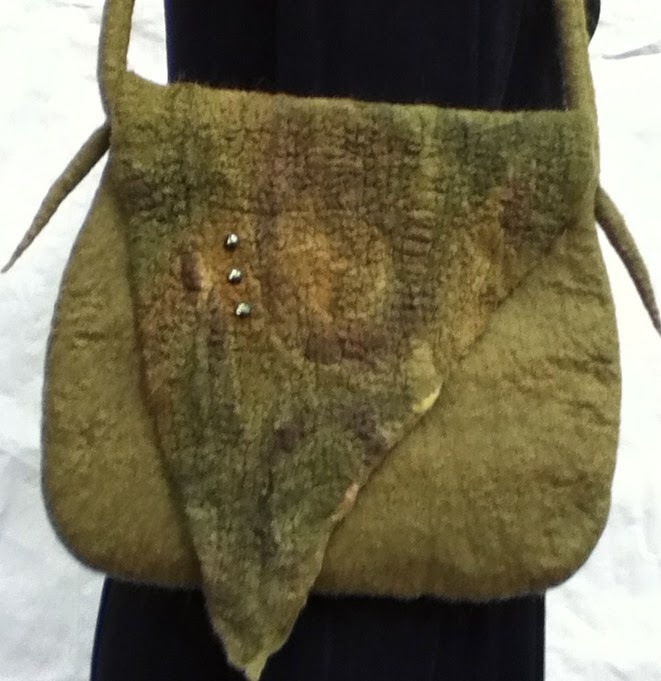 Sunday, March 8, 10 am – 4 pm: Design Your Own Felted Purse. Cost is $100 per student plus materials fee to instructor, approximately $25. Maximum number of students 12.